Everyone wants to eat healthy. But in the fast-paced world we all live in, healthy eating doesn’t always come easy. There’s little time to prepare—let alone shop—for the healthiest meals. 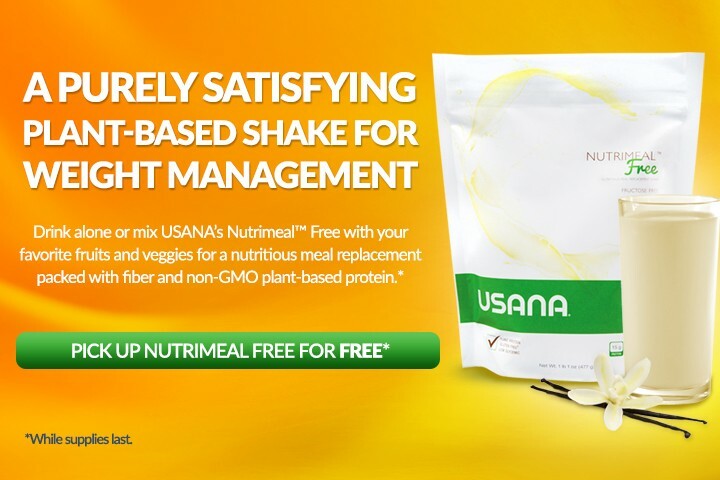 Plant-based, nutritious, and packed with 15 grams of pure, high-quality protein, USANA’s Nutrimeal Free is a convenient and satisfying meal-replacement shake. Plus, Nutrimeal Free is dairy, soy, and gluten free, and it is designed to help maintain and support a healthy weight†. For a delicious shake, mix three scoops with water or your favorite beverage. If you’re in the mood to blend it with a handful of your favorite fruits or vegetables, go right ahead! Mix it your way. The mild flavor complements just about anything you can think up. 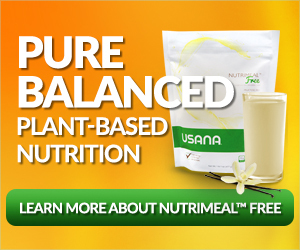 Learn more about Nutrimeal Free and USANA’s other high-quality nutritional products. †For customers with food allergies: Nutrimeal Free is free of wheat, dairy, eggs, gluten, and soy. Nutrimeal Free is manufactured on equipment that also processes products containing shellfish, wheat, milk, soy, egg, peanuts, and tree nuts. NO PURCHASE NECESSARY. Internet access required. Promotion open until July 14, 2015 at 9:00 AM ET. Open to all legal residents of the 50 United States (including the District of Columbia). Must be at least 18 years of age to enter. Void where prohibited. Total ARV of all prizes is $32,950.00. See Official Rules at www.doctoroz.com/page/usana-nutrimeal-free-sweepstakes-official-rules. Sponsor: Sharecare, Inc.